Featuring free WiFi throughout the property, B&B Dimore le Leopoldine is situated in Florence, a few steps from Santa Maria Novella. Every room is equipped with a flat-screen TV. Some units include a seating area to relax in after a busy day. You will find a kettle in the room. The rooms are fitted with a private bathroom with a bath and bidet, with free toiletries and a hairdryer provided. 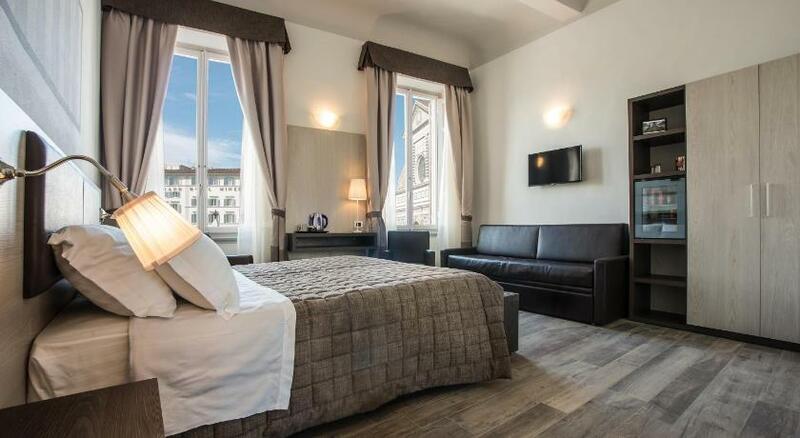 Strozzi Palace is 400 metres from B&B Dimore le Leopoldine, while Ponte Vecchio is 700 metres from the property. Florence Airport is 5 km away. Please note that after 19:00 the property operates a self check-in system. Guests will receive instructions via email. Guests are required to show a photo identification and credit card upon check-in. Please note that all Special Requests are subject to availability and additional charges may apply. Please inform B&B Dimore le Leopoldine in advance of your expected arrival time. You can use the Special Requests box when booking, or contact the property directly with the contact details provided in your confirmation.